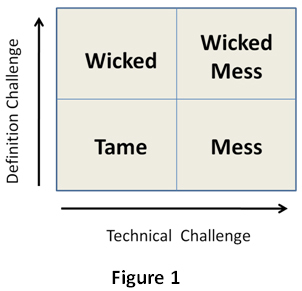 What you really need to sort this out is a “Wicked Mess”? So, I recently went to a really interesting and different view on Project Management by Martin Price, entitled The Single Minded Project. A very more personal approach to Project Management with some really intersting concepts that organisations can implement – do read his site via the link. Wicked Mess: A bit of both!